Google has been speeding up the development of their next OS. 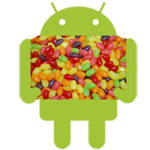 It is believed that Android 5.0 Jelly Bean will be launched in the third quarter of 2012 due to the fallen short expectations of ICS and the upcoming launch of Microsoft’s Windows 8 in the third quarter of 2012, according to Taiwan-based supply chain makers, reported by Digitimes. It was said that Android 5.0 will be targeting tablets more than the smartphones. The OS will be optimized for tablets while Google will also integrate its Chrome system functions to push dual-operating system designs. Maybe Google plans to encourage more vendors to build dual-boot devices which should be able to run both Android 5.0 and Windows 8 operating systems without the need of turning off the device. I expect by the time Android 5.0 Jelly Bean is launched, the Android 4.0 Ice Cream Sandwich update would have already been rolled out for the smartphones that have not been given the official ICS release yet and we may even see a few new smartphones built for ICS at the Mobile World Congress this year. However, since the Android 4.0 OS did not perform as well as expected after its launch date, some partners of Google are in no hurry to make any plans for the release of the Android 5.0 Jelly Bean operating system.